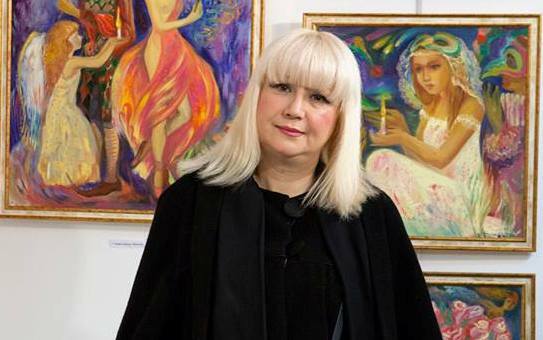 Famous artist Nigar Narimanbayova, who has become a favorite artist of many art lovers, will represent Azerbaijan at the 10th International Fine Art Festival "Traditions & Contemporaneity” in Moscow on May 26-31, Trend Life reports. The artist's works from the new series of "Love Toys" will be displayed at Central Exhibition Hall "Manege". The Festival, which has become a landmark in Russia’s cultural life, is an established and convenient site to share expertise, opinions and knowledge for people of art, educators and many others who are interested in culture and art. Over the last 10 years, the project has already attracted 4,700 artists and galleries from 50 countries and 60 regions of Russia. Festival events have been attended by more than 2.5 million people. This year, the exhibition will display the works of 300 artists from 40 countries, including Azerbaijan, Angola, UK, Italy, France, etc. "I am very pleased to participate in such unprecedented project. My works are presented by the French Stella Art International Association, with which I have been working for many years. In Moscow, I'll represent my native Azerbaijan as an artist living and working in France," said Narimanbayova. "I'm glad that "Love Toys" had a great success during my solo exhibition in Paris this March. The paintings "Puppet", "Obscure object of desire", "Cage" as well as "The harlequin and the Ballerina” have attracted crowds of admirers and have been immediately selected by President of the Association Stella Kalinina for the festival in Moscow", she added.